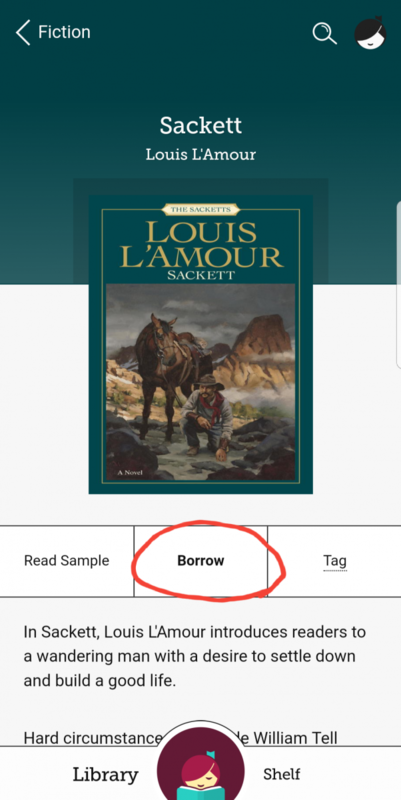 This is just a basic walk through from opening up the app for the first time, to checking out a book. All of the captions on this page are for the picture immediately below them. 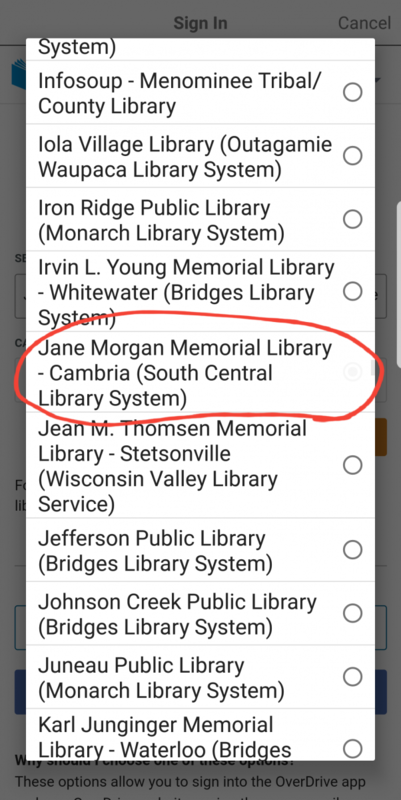 After opening the app you will be prompted to select your library. The Jane Morgan Memorial Libary should look something like this. After selecting your library you will have to add a library card if you want to check out books. 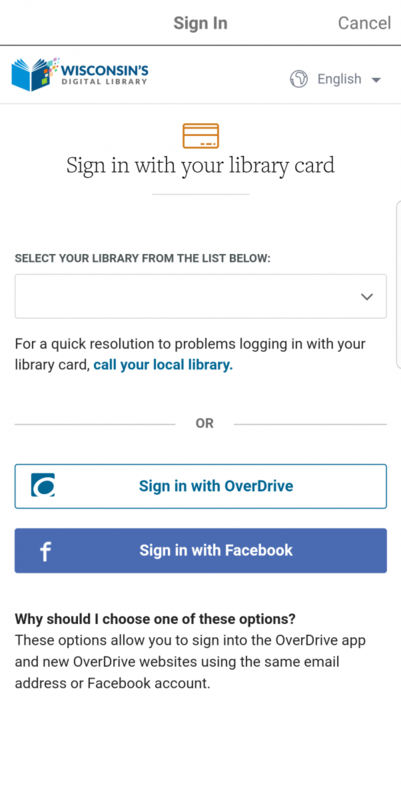 Tap on the "Actions" button on the right-hand side of the screen, then tap "Add A Library Card" to enter the library card sign in page. 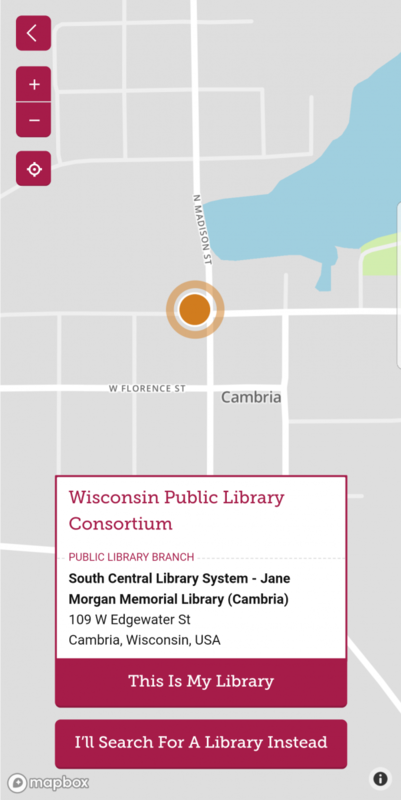 Here you will be prompted to select a libary once again, tap the faint downward pointing arrow to display the list of libraries. The list is presented in alphabetical order, with the Jane Morgan Memorial Library situated near the center of the list. 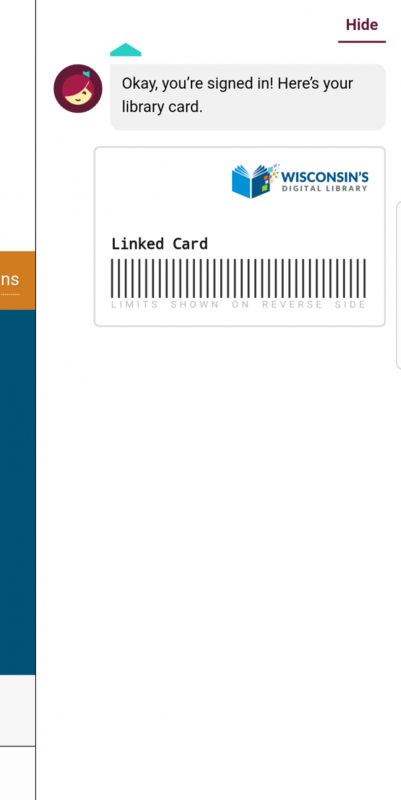 This is the screen which you will be presented with after the confirmation of your card. 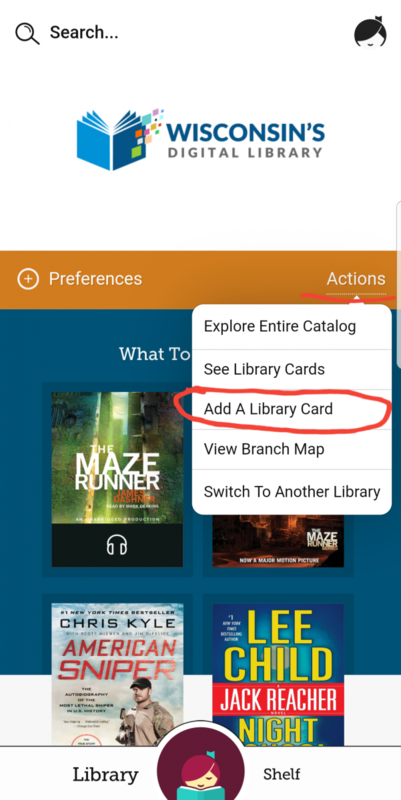 Now that you're signed in with a valid library card, we can get started with checking out a book. 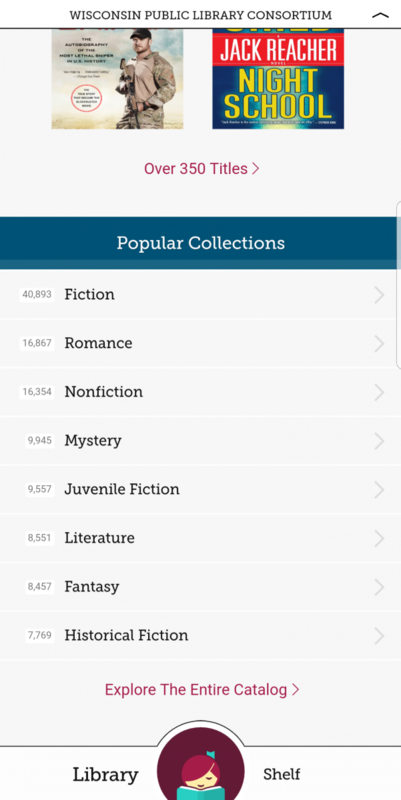 After making your way back to the main screen (by swiping your finger to the right on the last screen) you can swipe down to see some popular collections (there are many more collections below these, but you can explore those for yourself!). From here I chose to tap on "Fiction" and make my way to the next screen. I chose the book "The Atomic City Girls" for this guide. The area indicated by the red circle below shows the estimated wait time before you will be able to check out this book. 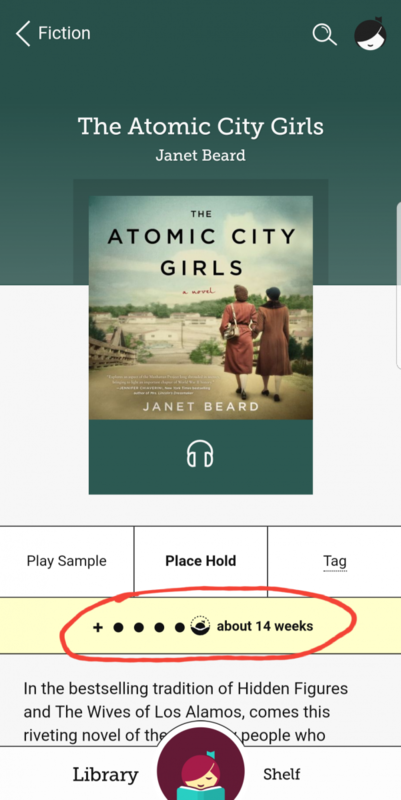 As you can see, The Atomic City Girls has about a 14 week hold period, so I decided to search for another book. 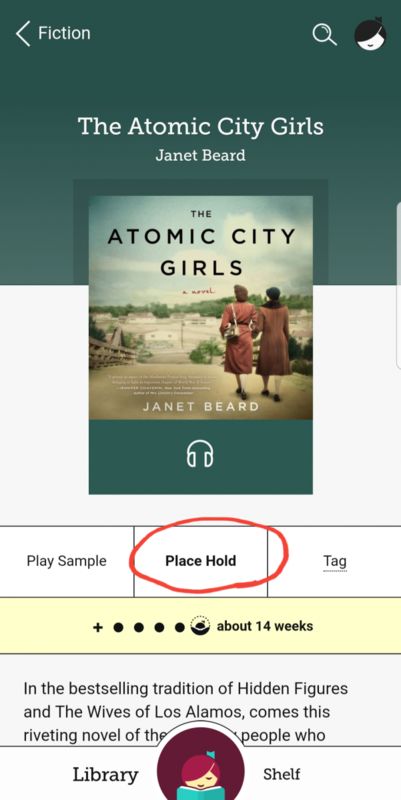 If you choose to put the book on hold anyway, simply tap the "Place Hold" button and the app will clearly guide you through the rest. The next book I settled on was "Sackett". The hold period for this book was non-existent meaning that the book is able to be checked out immidiately! After tapping the "Borrow" button the book will be available to read straight away! And that's about it for getting started with Libby! We encourage you to explore the app more and see everything it has to offer! If any of the information on this page is outdated or no longer useful, feel free to contact us at: (920) 348-4030 and we will be happy to update it!